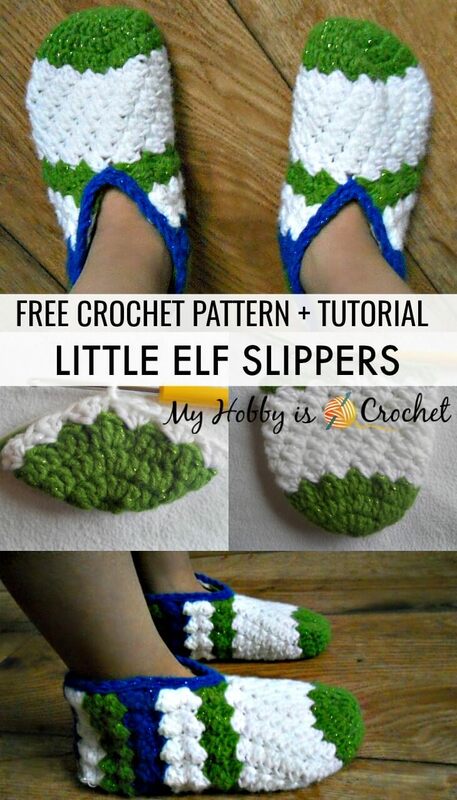 These crochet slippers for children are pretty, comfy and warm. I designed them thinking of Christmas. 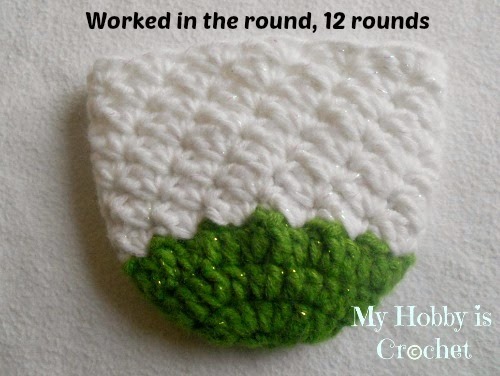 That's why I have used a shimmer yarn! 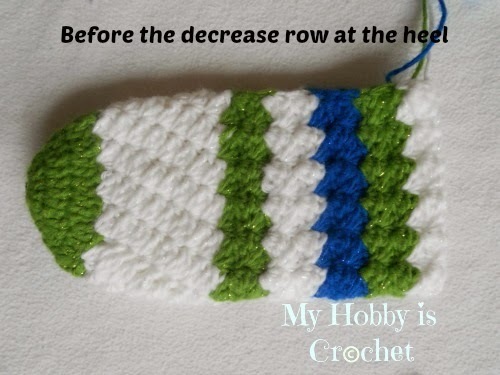 But you can use other yarn, just make sure your gauge is right. Size: The booties will fit a 6 - 7 years old child. 20 cm circumference around the foot. 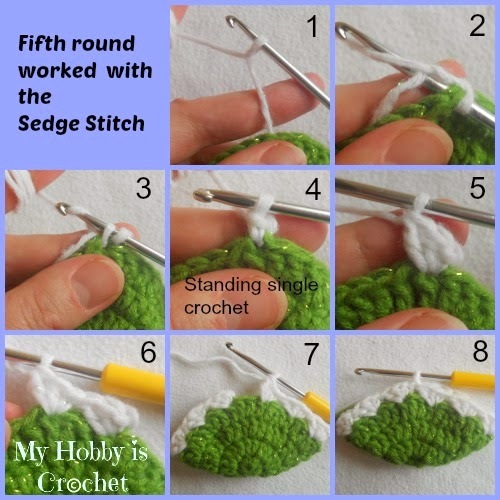 Using a larger hook and thinker yarn as in the pattern indicated, you could obtain an adult woman size. A) Working in rounds starting at toe. With green make a magic ring. Cut yarn. 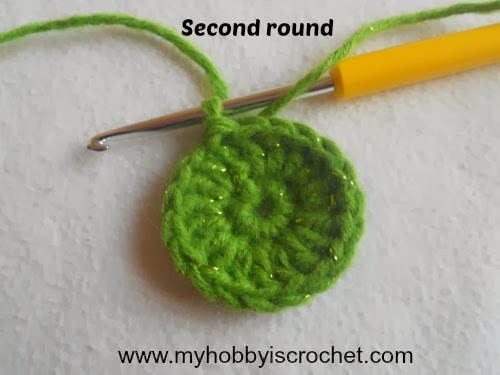 Fasten off invisibly inserting the tapestry needle from back to front in the second dc of the round, then in between the top loops of the last stitch of round. Rounds 7 - 12: work as round 6. 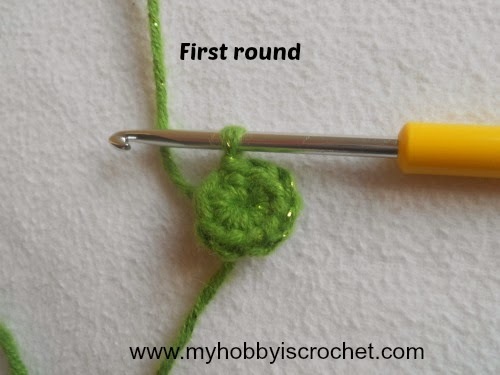 At the end of the round 12 cut yarn, fasten off. 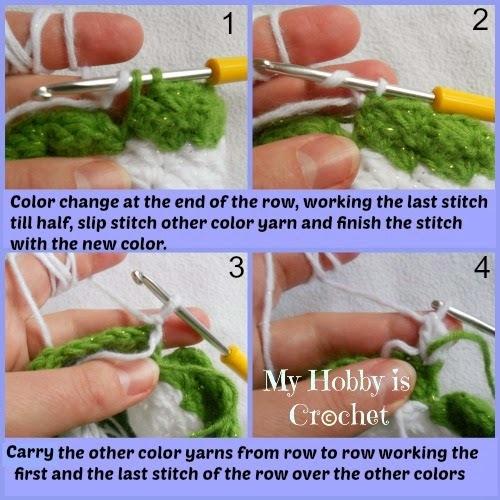 From now on you'll work in rows, turning the piece at the end of each row. 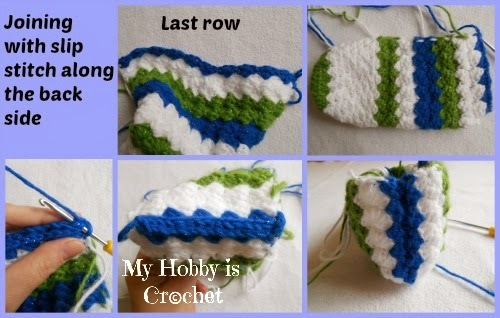 Each color stripe will be made of 3 rows, changing colors at the end of each third row. Do not cut yarn, carry color not in use from row to row. 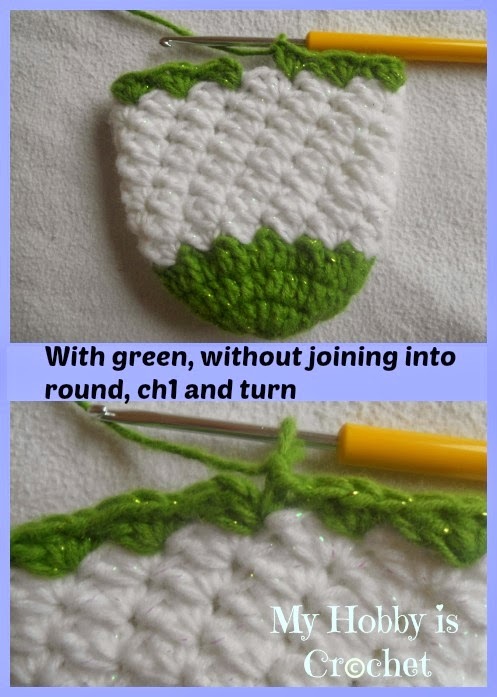 Color change: work the last sc of the row till half, having two loops on hook, join other color yarn with a sl st and pull through the 2 loops on hook. Row 1: On the right side join green with a sl st into the top of a sc of the previous round. Ch1, work (1 hdc, 1dc) into same st, *sk next (hdc and dc), work (1sc, 1 hdc, 1dc) into next sc *, repeat from * to * till the end of the row, sk the last (hdc and dc), 1sc into same st as the first group at the beginning of the row, ch1 and turn. Row 2: (1hdc, 1dc) into first st, *sk next (1dc, 1hdc) and work (1 sc, 1hdc, 1dc) into next sc*, repeat from * to * 11 times, sk last (dc and hdc), 1 sc into the ch1. 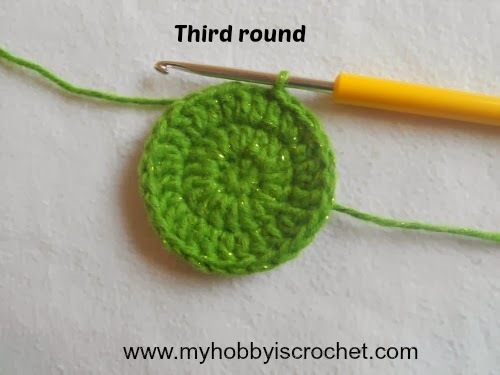 Row 3: same as row 2, but with color change at the end of the row like this: work the last sc half way; having 2 loops on hook attach white yarn and finish the sc with white, ch 1 and turn. Rows 4 - 6: continue with white the same as row 2. Change to color blue. Rows 7 - 9: continue with blue the same as row 2. Change to green. 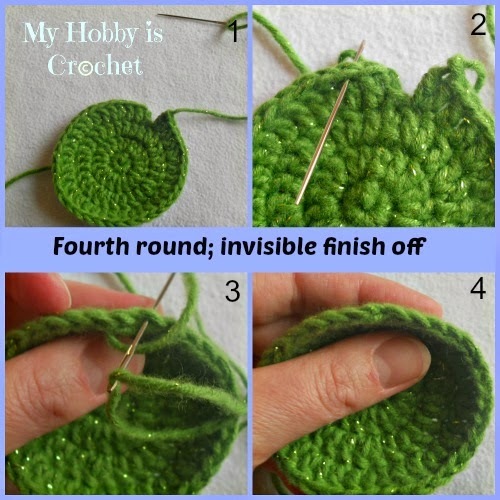 Rows 10 - 12: continue with green the same as row 2. Change to white. Rows 13 and 14: continue with white the same as row 2. 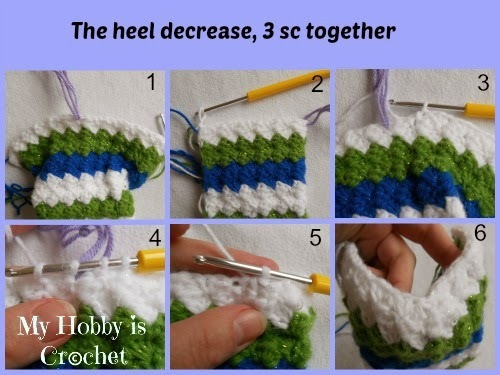 Fold the slipper into half and place marker into the sc in the middle of the piece. Row 15: (1 hdc, 1dc) into first st, *sk next (1dc, 1 hds) and work (1 sc, 1hdc, 1dc) into next sc*, repeat from * to * 4 times, skipping the dc and hdc in between work sc3tog TIGHT, (1hc, 1dc) in same st, *sk next (1dc, 1 hds) and work (1 sc, 1hdc, 1dc) into next sc*, repeat from * to * 4 times, sk last (dc and hdc), 1 sc into the ch1, changing color to blue. Row 16: continue with blue the same as row 2. 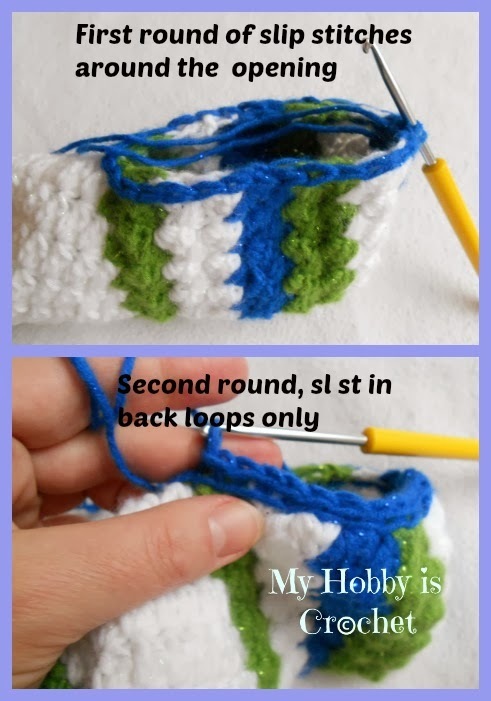 Turn the booty inside out and fold it in half, matching first and last sts of Row 16. Working through both top loops sl st across to join the back of the booty (back seam). Cut yarn. Fasten off. Round 1: Join blue yarn with a sl st at the top of the back seam and work a round of slip stitches loosely around the foot opening. Round 2: sl st back loops only loosely in each st around. Cut yarn. Fasten off.